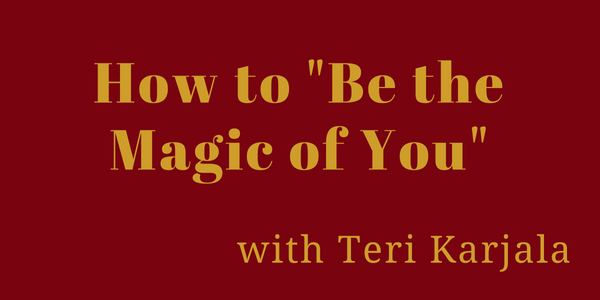 What does it mean to “be the magic of you?” Licensed Professional Counselor, Trauma therapist and Tranformational Life Strategist, Teri Karjala, joins me today to talk about this and many other things! She’ll be sharing with us the three steps you must take to unlock the magic within yourself, along with her own personal stories of transformation. She’s also offering a very exciting giveaway that you don’t want to miss out on!